It’s never been easier to create wreaths from your favorite watercolor clipart! 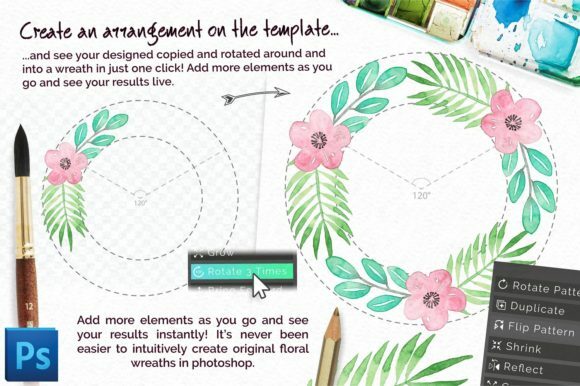 Wreath Creator Pro is an addon for Photoshop CS5, CS6, and Creative Cloud that will allow you to quickly and intuitively create wreath designs from any type of clipart or images. 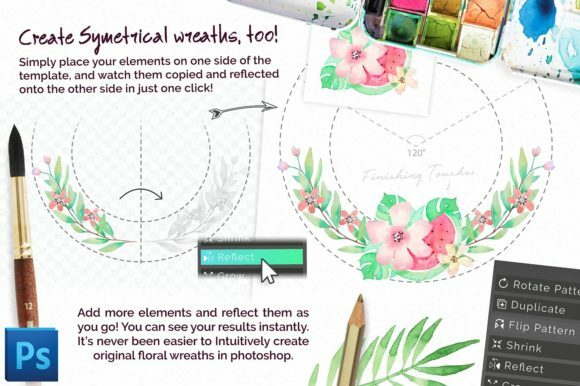 Inside Wreath Creator Pro, you’ll find a Photoshop template with helpful guides along with a toolkit that will allow you to rotate, reflect, and manipulate images into unique wreaths at the press of a button. 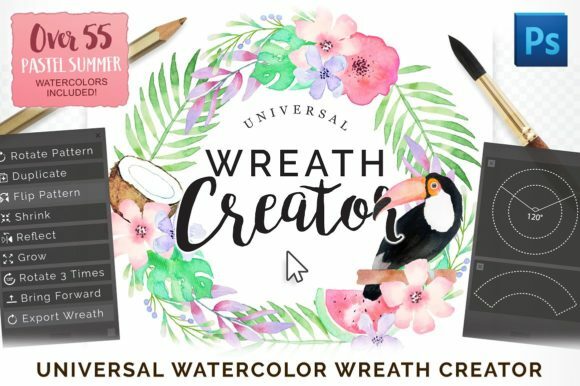 I’ve also included over 55 high-res watercolor elements with a ‘Pastel Summer theme’ so you can get started creating beautiful wreaths right away! The included elements are suitable for unlimited commercial use so long as they are not repacked and sold individually. 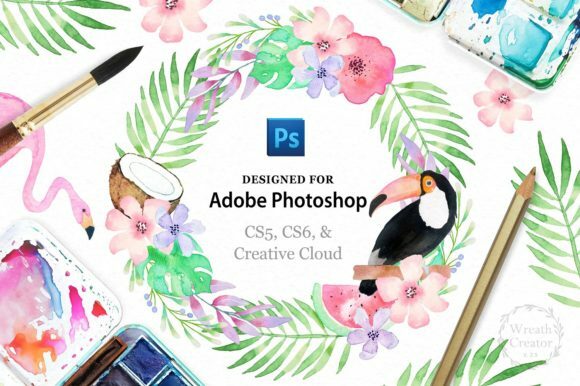 This add on will work with any type of clip art, including the endless variety of isolated watercolor collections sold by artists.